Selling a home is a large undertaking. There are quite a few decisions that sellers have to make in regards to selling their home. The best real estate professionals are there to help sellers with every decision—how best to market the home, the correct asking price, the proper terms and conditions of the sale, when is best to sell, etc. All of these factors influence when the home sells. If a home lingers on the market for too long, this can be hard on the homeowner, both financially and emotionally, and it can make potential buyers fear there is something wrong with the home. One of the most important factors when selling a home is its appeal. A home that exudes curb appeal is a home that is likely to sell fast. The same is true of interior spaces. In today’s real estate market, staging your home is crucial for a fast sale. Ensure every room is clean, decluttered and appeals to the majority of potential buyers. Price is perhaps the single most important factor when it comes to buying a home. This is the first thing that most buyers notice. It's crucial to get the correct price right from the start, when the house goes on the market. Consultation with a real estate professional can help with this process. The proper asking price is based on recent sale prices of similar homes in the neighbourhood. 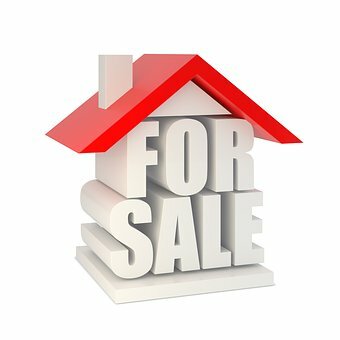 A home seller may have specific conditions they have placed on selling that can make it harder for the home to sell. For example, the homeowner may have set up terms that require the potential buyer to wait until they've found another home. They may also ask buyers to accept certain existing defects such as a non-working fireplace or a deck that needs to be repaired immediately. This can dampen interest and cause buyers to turn away. A seller should think about their selling conditions. If you are considering selling your home, please call Team McDadi at 905-502-1500. It would be our pleasure to provide you with a free home evaluation.